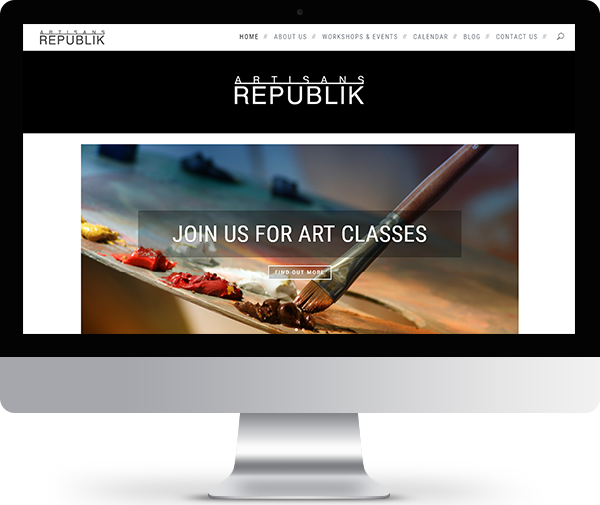 Artisans Republik is a collaboration of artisans and craftsmen who share their expertise and knowledge at regular workshops and events. 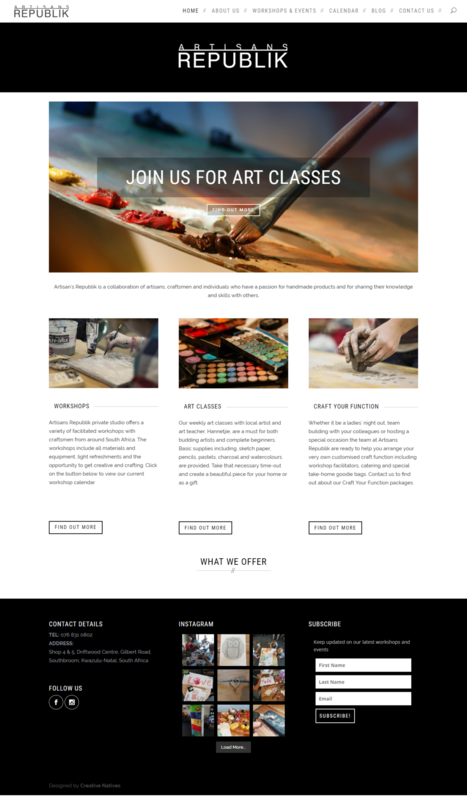 Their website had some very specific requirements in terms of the linking between artisans and their events and the display of specific custom information such as expertise and contact details. We put together a strategy based on their brief that incorporated all the technical aspects together in a clean, monotone design that is easy to navigate and explore. KIND WORDS “It was an absolute pleasure working with you. Loved how you managed the briefing process and were able to cater for everything that was asked for as well as some great suggestions for the functionality of the site. Timelines were also managed well and weren’t ‘overshot’.